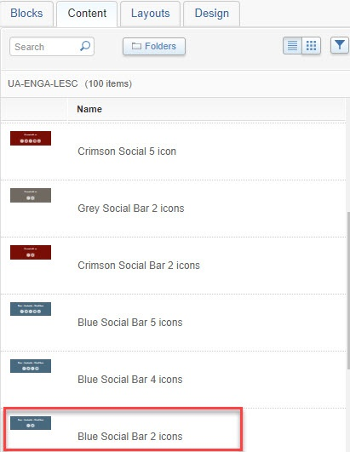 Under the layout Content tab, click the Folders icon and go to Shared Folders > Shared Content > IU assets > Social Media Content. Drag and drop the new social media bar to the area just above or below the old one. Two social media bars will display. On the old social media bar, click the down arrow. Select Delete and confirm. 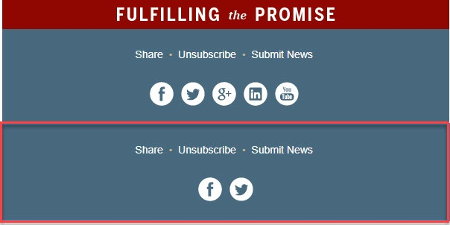 The new social media bar displays under the "Fulfilling the Promise" image.